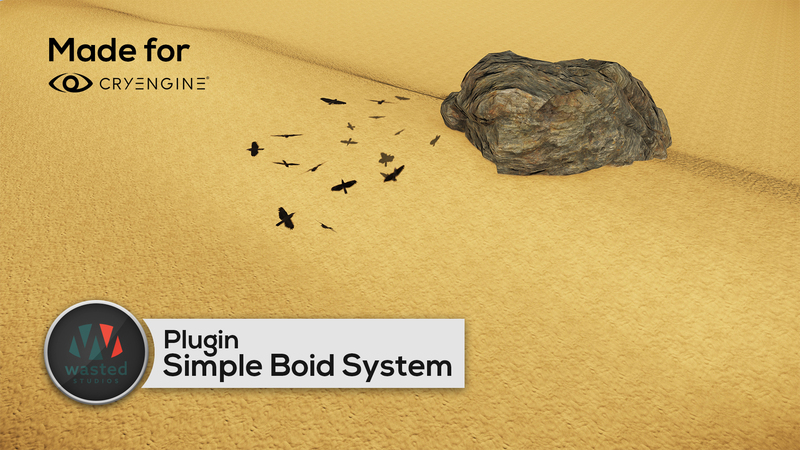 We recently submitted our first plugin for CRYENGINE called "Simple Boid System". A free tool to easily create boids flying around in your level. 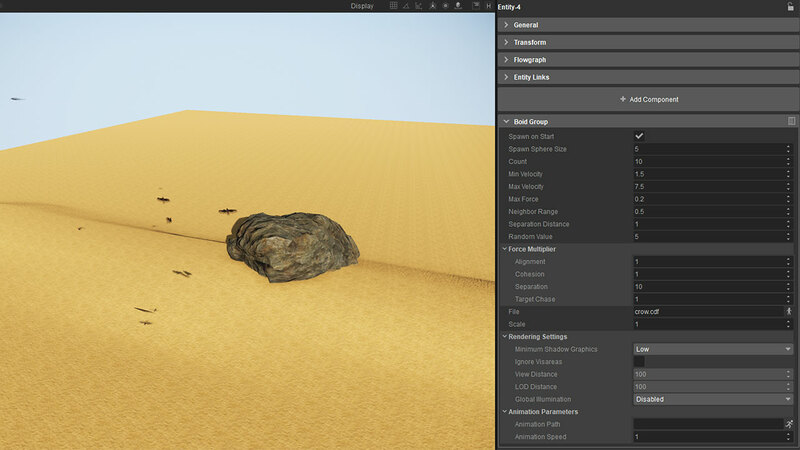 The package comes with a sample asset from the GameSDK to quickly get started and test the tool itself. We are also shipping an installation instruction pdf including some explanations for the modifiers you are able to use with the boid system. Last edited by WastedStudios on Mon Sep 18, 2017 2:18 pm, edited 2 times in total. is it for ce5.4 preview? It is currently tested with CRYENGINE 5.4 Preview 7. We will also try to update it with every preview or stable release coming in the future. Last edited by WastedStudios on Mon Sep 18, 2017 12:06 pm, edited 1 time in total. We first want to see how it is going and how the feedback is and then proceed to other plugins. Additionally an enhanced paid version of the boid plugin with a lot more functionality and source code included is planned. Last edited by WastedStudios on Mon Sep 18, 2017 12:05 pm, edited 1 time in total. Great job guys! Many thanks. Looking forward to see more plugins. Keep the plugins coming. We need more components! It could be, that the URL will change again in the short term. We will update the links in this thread if that happens. Nice! Looking forward to see more great addons!